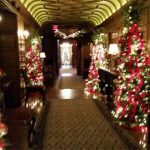 Meadow Brook Hall Holiday Walk 2018 – 2018 Meadow Brook Hall Holiday Walk info, review and pics. 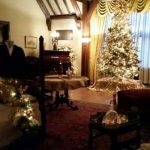 Enjoy a tour of Meadow Brook Mansion during the Christmas and Holiday season. 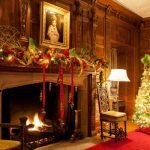 The Meadow Brook Hall annual Holiday Walk explores the Dodge and Wilson families’ winter traditions and activities they enjoyed while living on the Meadow Brook Estate. 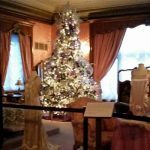 Often referred to as one of America’s “castles”, the 110-room, 88,000-square-foot mansion is currently the fourth largest historic house museum in the United States. Dates are from November 23, 2018 through December 23, 2018. These tours are self-guided and the hours from 11a-4p. LETTERS TO SANTA A mailbox to the North Pole will be set up in Danny’s Cabin throughout the Holiday Walk so kids can write their wish lists to Santa. Supper with Santa on December 9 from 5-7p. $40 for children 12 and under/$45 for adults. Call 248-364-6263 for more info. Starlight Stroll on December 6 from 7-10p. 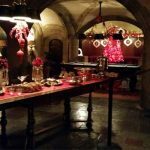 Enjoy an elegant evening of holiday entertainment, strolling dinner, cocktails and more. Cost is $100 per person. Call 248-364-6263 for more info. 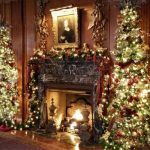 Holiday High Tea on December 4, 11, 12, and December 18. enjoy traditional teas, savories and sweets served in the magnificent Christopher Wren Dining Room. Please call 248-364-6252 for more information. $55 per person. SOLD OUT – Call 248-364-6252 to be placed on a wait list. 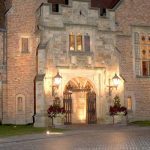 Meadow Brook Hall is the historic home built by one of the automotive aristocracy’s most remarkable women, Matilda Dodge Wilson, widow of auto pioneer John Dodge, and her second husband, Alfred Wilson. 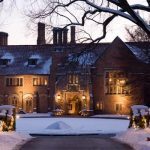 Constructed between 1926 and 1929, Meadow Brook Hall represents one of the finest examples of Tudor-revival architecture in America, and is especially renowned for its superb craftsmanship, architectural detailing and grand scale of 88,000 square-feet. 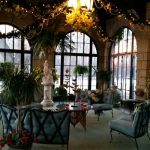 It was the center of a country estate that included 1,500 acres, numerous farm buildings, recreational facilities, several residences and formal gardens. 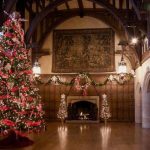 For more info, see the official Meadow Brook Hall and Gardens website. 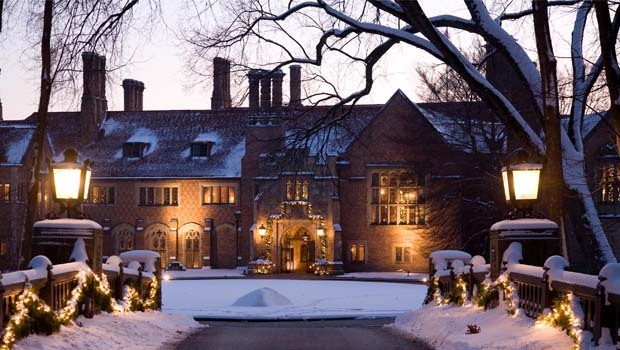 Meadow Brook Hall Holiday Walk is in its 47th year.